“Science communicators are like the brain’s corpus callosum, which bridges the divide between two important hemispheres: researchers and the general public. Both sides need to communicate with each other for the organism to function properly. 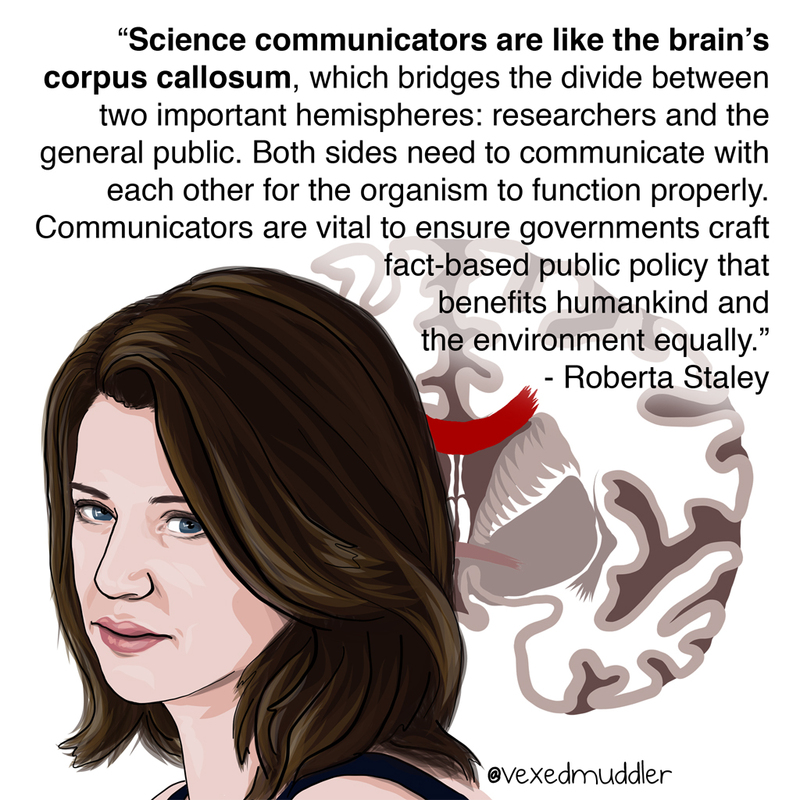 Communicators are vital to ensure governments craft fact-based public policy that benefits humankind and the environment equally.” – Roberta Staley, science journalist and editor. Originally posted on October 7, 2016.